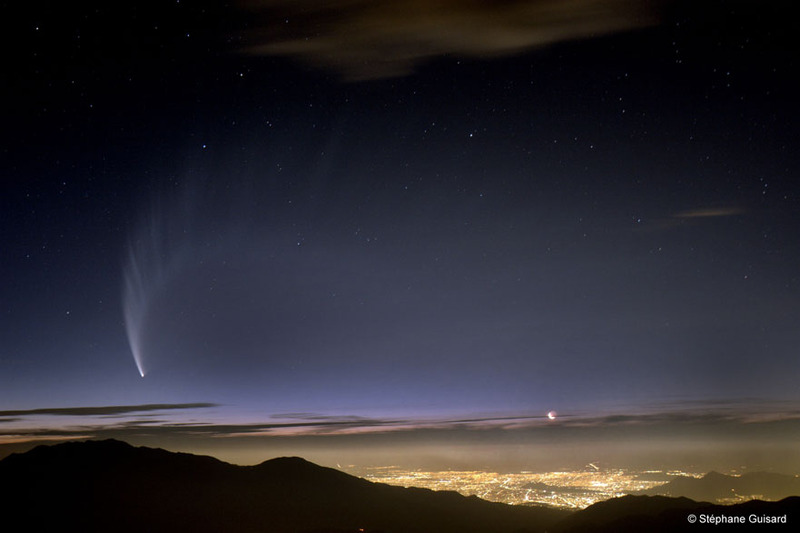 Comet McNaught continues to display over 15 degrees of tail to the naked eye now the moon is out of the way. 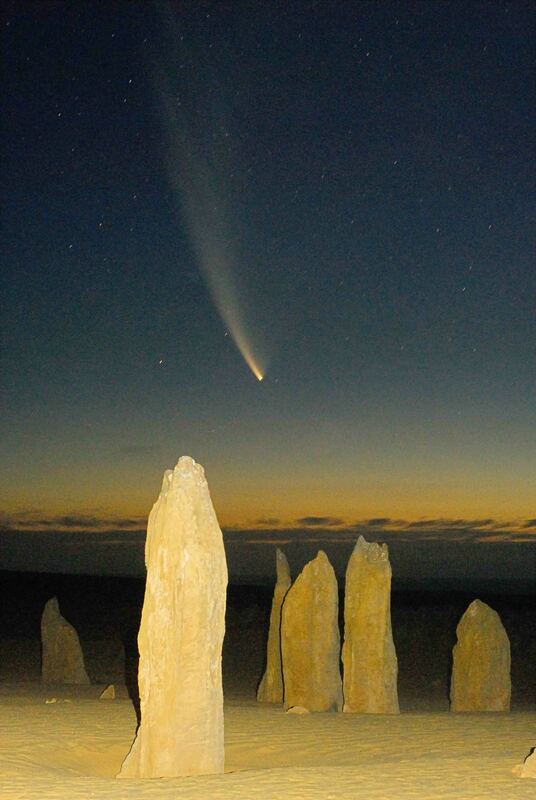 People have been calling me and saying that they are having trouble seeing THE comet, mostly city folk. Well at 4th magnitude it is probably not surprising. Then again, what they didn't know is that I have captured McNaught down my chimney! 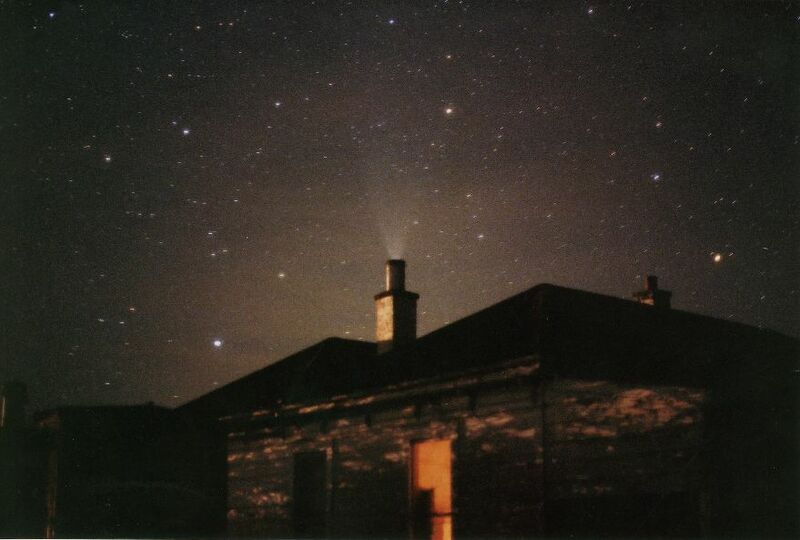 Photo details: Nikon F with a 50mm lens at f/2, 60 second exposure on Fuji Xtra 800 film. 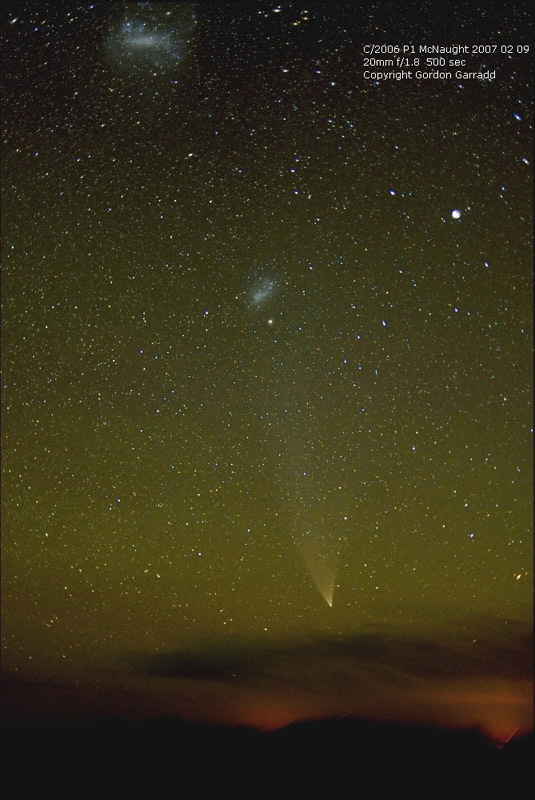 High altitude hazy cloud hampered a good view of comet McNaught but it was still visible to the unaided eye. 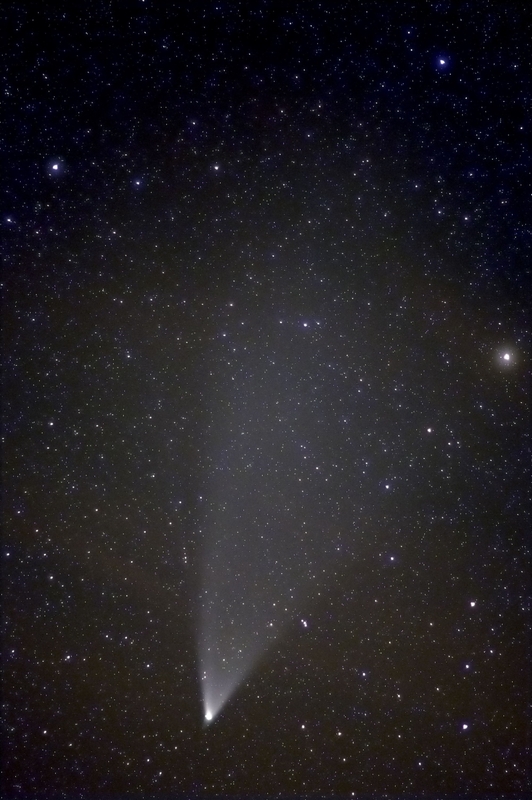 This three minute guided exposure shows comet McNaught with an approximate 8 degree tail and exhibiting a small but distinct anti-tail. Photo details: Nikon D100, ISO800, 105mm lens, f/1.8, 180 second exposure. 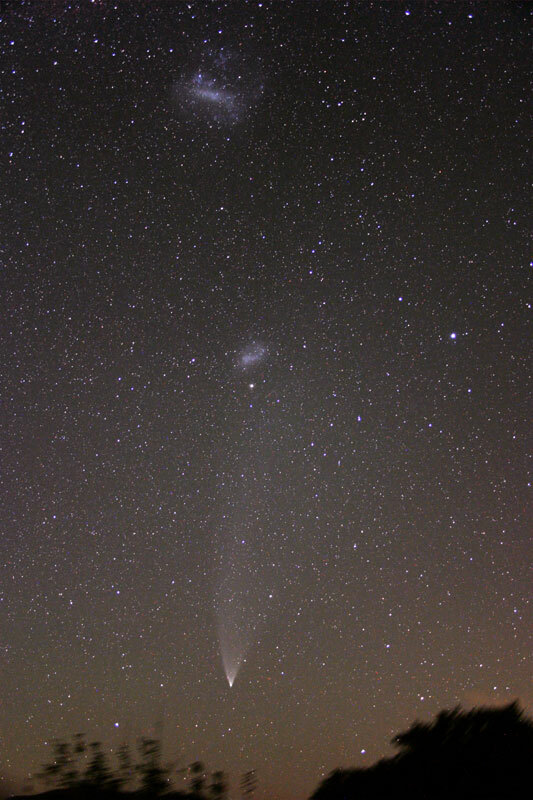 Taken around 11pm local time, this image shows the comet with the Large and Small Magellanic clouds above. Photo details: Canon 10D, ISO800, 18mm lens, f/3.5, 5 minute exposure. The lack of light from development made for excellent viewing conditions in this unique location. Photo details: Nikon D200, 50mm lens, f 8, 800 ISO, 30 sec exposure, fill in flash for foreground. Above Santiago de Chile in the Andes, 13000 feet altitude.